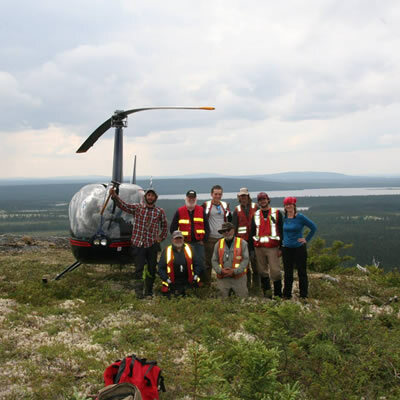 Darren Blaney, president and CEO of American Creek Resources Ltd., and his team of geologists have been exploring their Gold Hill property near Fort Steele in southeastern British Columbia since 2015. “We are still trying to quantify what is there,” he said. However, between previous exploration data and their own prospecting and mapping, the property is promising. Gold Hill is the suspected site of the Wild Horse River gold motherload. Since 1864, placer gold operations have drawn attention to the area. Much of this gold has been found downstream of the junction of Boulder Creek and Wild Horse River. The Gold Hill property rests at this junction, covering 835 hectares of land. “Logic would say that the Boulder Creek water source is a likely source for that gold,” said Blaney. Gold Hill encompasses that area. The first step in any exploration project is prospecting and mapping. “It’s been prospected quite heavily, mostly in earlier years,” Blaney said. Following the theory that Boulder Creek’s watershed could be the source of the placer gold recovered downstream, prospectors explored the area. “There was also placer gold that was discovered in Boulder Creek itself, which adds to the argument that gold clearly is coming from that watershed,” said Blaney. However, historic prospecting methods along with the “boom and bust” of the gold market have left Gold Hill underexplored in recent years. Now, equipped with modern technology and prospecting methods, American Creek has set out to explore the area. The first step is mapping the area to include previous data and comparing historic results with their modern findings. This step also involves creating GPS maps for the property. “We’ve been on the property getting an idea of where the old adits are, and what was occurring there,” Blaney said. His team has collected samples of the historic adits, as well as new promising locations. “We’ve since found three new high-grade gold veins,” he said. Geologists “stumbled” onto the new veins. One was discovered under the roots of a tree that had blown over in a storm; another is located 150 metres away from the historic veins. “If that’s a continuation, it significantly expands the potential size of the gold veins on the property,” said Blaney. 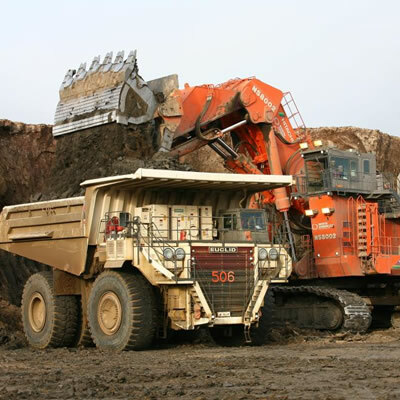 Modern technology and exploration methods have been developed and refined to allow for more mining discoveries. “We now know that most of the gold you actually can’t see. Most of the gold is in the rock itself,” said Blaney. Earlier prospectors also thought that fool’s gold signified a lack of real gold in an area. Now, we know that “fool’s gold is one of the very best indicators of there being real gold, and often real gold is attached to fool’s gold,” he said. This knowledge opens up the prospects of underdeveloped properties. “With modern exploration methods we can do things like geophysics, which is like taking an X-ray of what’s below the surface,” said Blaney. The tools under the umbrella of geophysics were not available to prospectors 50 years ago. “There are all sorts of geophysical surveys that you can do to get an idea of what the area looks like underground,” Blaney said. These processes include magnetic surveys and induced polarization surveys. Once geologists are confident they have located the veins and mapped out the structures underground, they use diamond core drilling to pinpoint the exact location, size and orientation of gold veins on the property. “Diamond core drilling is where you take a portable drill and you drill down into the ground and what you end up with as you pull the tubes out of the ground is the core of the rock,” Blaney explained. Cylindrical core cuttings with a diameter of about five centimetres are pulled and split in half as samples. All of the steps in exploration up to this stage are meant to quantify the property, proving up a reserve or resource. American Creek’s Gold Hill property is still in the exploration stage. “Our focus is to prove what is there,” said Blaney. After a resource is sampled, mapped and proven, a pre-feasibility study is completed. “Pre-feasibility is where you get an independent analysis looking at the economics, grade, terrain, political issues—all those issues to see if it is worth proceeding,” Blaney said. Once a property produces a promising pre-feasibility study, a detailed feasibility study is the next step. 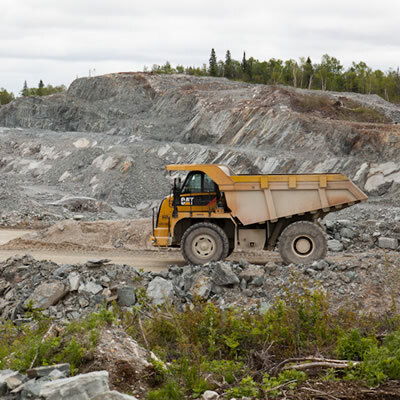 Feasibility studies include more specific necessities like permitting, environmental review, cost analysis, mine development and operation models. After successful feasibility studies, a property moves into construction and production. As an exploration company, American Creek may choose to pass this project onto another mining company at this stage. However, Blaney is confident that American Creek has the resources to bring the Gold Hill property into production itself, should it choose to do so. American Creek may opt to sell the property, bring it to production as a joint venture or bring it to production itself. 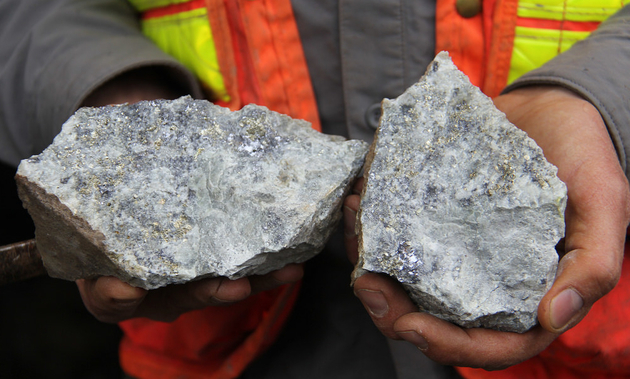 While American Creek’s goal is to create British Columbia’s next underground high-grade gold mine, a similar process is followed for other resource discoveries.